Thanks to its customized dimensions, the new range UPS 19 of ENAG reduces the mechanical congestion and offers many options for the marine market. 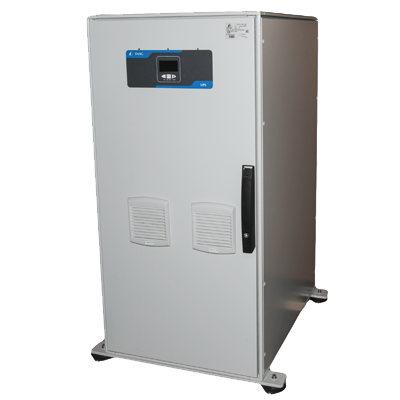 Due to its design and optimized for harsh environments, this UPS is IP23 or IP44. On-board maintenance is now facilitated by its rack design. The UPS 19” makes it easy to control or replace each module of the UPS. Moreover, the battery cassettes (12Kg only) are easily transportable on board.